Published on June 4, 2010 in Features, General T&T, Law, Photos and Politics. 8 Comments Tags: Abuse, Caparo, Environment, Jack Warner, sand quarrying, T&T Govt. 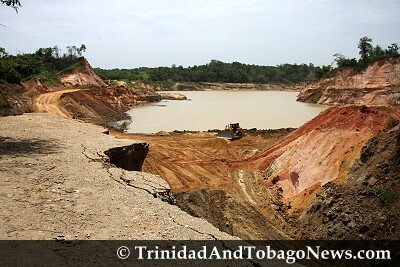 As of now there has been no scientific assessment, even if preliminary, of the sunken earth at Todd’s Road in Caparo, so there is a measure of mystery about this phenomenon, even if there are educated guesses about why the land slipped. Published on June 4, 2010 in Food, General T&T, People's Partnership, Politics and UNC. 3 Comments Tags: Food Production, Housing, Politics, UDeCOTT, Vasant Bharath. 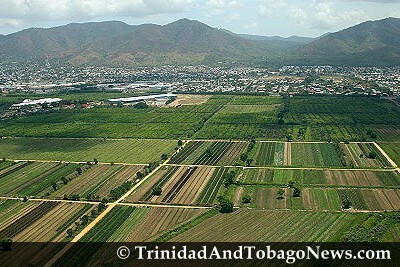 Food Production Minister Vasant Bharath wants all lands that were under the control of Caroni (1975) Ltd to be returned to his ministry. Bharath was speaking with the media, during a visit to farmers in Cunupia yesterday. Bharath said when the PNM administration shut down state-owned sugar producer, the lands were handed to the Ministry of Finance for disposal. He said he wanted to see the stopping of all housing developments started by the former government on these lands.